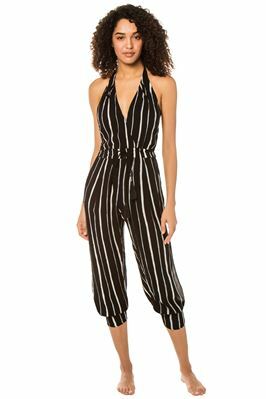 Brooke Tehani striped pattern jumpsuit with smocked elastic cinching at the top and waist. Faux tie at the waist with tassels. Offers pockets.